Security Memetics: So bad customer service is good for security? 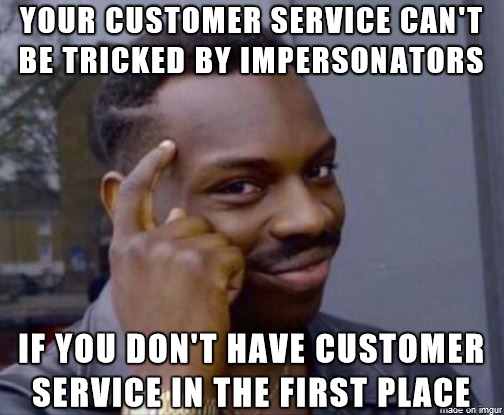 Customer service representatives getting socially engineered by crooks is a pretty standard attack scenario that's happened more times than I can count. Getting rid of customer service would eliminate that vulnerability but surely there must be some other way, some happy medium that protects accounts without telling customers they're SOL when something goes wrong.